The talented clinical staff at Dickinson Center provide exceptional, knowledgable, and thoughtful care for our consumers. Dr. Richman is a graduate of the Thomas Jefferson Medical College in Philadelphia, Pennsylvania. He completed his Adult and Geriatric Psychiatry Fellowship at the Medical College of Pennsylvania in 1992. Dr. Richman is a Diplomate of the American Board of Psychiatry and Neurology. He maintains licensure in Pennsylvania and New Jersey. Dr. Richman has practiced in the rural counties of Erie, Centre, Juniata, and Mifflin since 1992. He has served all age groups. Prior to his arrival at Dickinson Center, he was the Medical Director at the Meadows Psychiatric Hospital for the past seven years. Dr. Richman is experienced with patients of any age. He is currently providing psychiatric services for the Ridgway and St. Marys Outpatient Clinics, Elk County Intensive Outpatient Program, and Crossroads Partial Hospitalization Program. Justin holds a Social Work license in Pennsylvania. He has been with Dickinson Center, Inc. since 2013 as a Forensic Mental Health Specialist and also provides therapeutic services in the Outpatient setting at the Ridgway office. Prior to bringing his services to Dickinson Center, Justin worked with the juvenile delinquent population for two years as a Drug and Alcohol Counselor. Justin has experience providing services in the juvenile and adult corrections and substance abuse populations. He has completed extensive trainings in the treatment of trauma and is a basic trained Eye Movement and Desensitization and Reprocessing (EMDR) therapist. Justin has also been trained in Cognitive Behavioral Therapy (CBT), Motivational Interviewing (MI), Solution Focused Therapy (SFT), Dialectical Behavioral Therapy (DBT), as well as traditional psychotherapy approaches. Justin believes in a holistic treatment approach through a systems perspective in assisting individuals and families address areas of need. Angela has over 20 years of experience in the mental health field. She holds Clinical Social Work licenses in Pennsylvania and also Florida, where she worked most of her career. She has been with Dickinson Center since 2010 as a therapist. In 2013, she accepted the position of Clinical Services Director, but still holds clinical hours in DCI’s Outpatient office in Ridgway and is credentialed by most insurance providers. Angela has skills and experience with children, adolescents, and adults with negative effects resulting from trauma (especially abuse and disaster-related trauma), severe behavioral problems, issues with self-injury, anxiety and depression, personality disorders, marital/relationship matters and family concerns. She specializes in children and adolescents, especially abuse and sexual assault trauma. Angela is trained in Cognitive Behavioral Therapy (CBT), Behavior Modification and Analysis, Dialectical Behavior Therapy (DBT), Eye Movement Desensitization and Reprocessing (EMDR), and Cognitive Processing Therapy (CPT). Dr. Straub is a licensed psychologist in the state of Pennsylvania. She holds clinical hours in the autism program at Dickinson Center, Inc. (DCI) where she is responsible for completing diagnostic evaluations for children believed to have autism spectrum disorder. Amanda also completes Best Practice and OVR evaluations which provide support for other local agencies. During summer months, Amanda facilitates social skills groups for both children and teenagers. Amanda has also provided consultation to area schools and agencies seeking information related to autism. Amanda also completed her post-doctorate at DCI, where she was also responsible for running social skills groups as well as individual and family therapy. She has worked in various settings in the Baltimore, MD and Washington, DC area. Her doctoral internship was completed at Interdynamics, Inc., where she worked primarily with low SES children and adolescents completing diagnostic evaluations and outpatient therapy. Amanda’s areas of expertise include working with children, adolescents, adults, and their parents who are diagnosed with an autism spectrum disorder and/or intellectual disabilities. Amanda also has skills and experience working with severe behavioral problems, anxiety disorders, impulse control disorders, and mood disorders, amongst others. Amanda’s therapeutic style is assimilative, including psychodynamic, cognitive behavioral, solutions-focused, strategic family therapy, and behavioral therapy approaches. Amanda has also received training in Eye Movement Desensitization and Reprocessing (EMDR) and Trauma Art Narrative Therapy (TANT). Michelle has experience working with children and adults, however, is currently specializing in adult services. Michelle has worked for Dickinson Center since 2007. She has been in the Outpatient setting since 2011. Michelle accepted the role of Forensic Program Director in 2013 and has spent most of her time at Dickinson Center working with the Forensic population. Michelle holds her Clinical License in Social Work and is credentialed by most insurance providers. Michelle has experience working with the various age ranges in the office, community, and correctional settings, with the majority of her time spent working with the adult population with co-occurring disorders, substance abuse issues, major mood disorders, anxiety, and personality disorders. She currently co-facilitates an anger management group and provides marital and couples’ therapy as well as the individual therapy. Michelle conducts specialized forensic court ordered assessments as requested from the legal system. Michelle is trained in Cognitive Behavioral Therapy (CBT), co-occurring disorders, Motivational Interviewing, EMDR (Eye Movement Desensitization and Reprocessing), and Dialectical Behavioral Therapy. Kristen has extensive experience working with children and families as a parent educator, caseworker and mental health professional for the last 18 years, and has been employed by Dickinson Center since 2007. She has experience in several treatment areas, including PTSD/trauma, grief and loss, depression and anxiety disorders, co-parenting after divorce and parent/child relationships. Kristen specializes in the treatment of children, adolescents and families facing a variety of challenges. In addition to more traditional treatment models, she has specialty training in Structural Family Therapy (SFT), Dialectical Behavioral Therapy (DBT), Eye Movement Desensitization and Reprocessing (EMDR), and Trauma-Focused Cognitive Behavioral Therapy (TF-CBT). Kristen is currently an outpatient therapist in DCI’s Ridgway office. Amanda is a Licensed Professional Counselor in Pennsylvania, and has been a Nationally Certified Counselor (NCC) since 2014. She is experienced in working with families, children, and adolescents, especially with emotionally disturbed youth through Pennsylvania’s Family Based Mental Health Services. She currently provides outpatient therapy services at Dickinson’s Ridgway office. Kacie has most of her experience working in Psychiatric Rehabilitation. She has provided services while serving for AmeriCorps and while working for Dickinson Center, Inc. She has been with Dickinson Center since 2013. Kacie joined the outpatient program in 2015 and is working obtained licensure as a Professional Counselor in 2019. Kacie has experience working with individuals with severe mental illnesses which include schizophrenia, mood and personality disorders. She works from a strength based, recovery model aimed to empower individuals. In 2015, Kacie received certification as a Certified Psychiatric Rehabilitation Practitioner. She is also trained in Cognitive Behavioral Therapy and Trauma-Focused Cognitive Behavioral Therapy (TF-CBT). Kacie provides services to students within the local school districts as part of the HOPE program. Carol has experience in working with young children, school age children, children on the autism spectrum, and adolescents. She has worked with individuals in family settings and on an individual basis. As an intensive case manager, Carol gained experience working with the chronically mentally ill. Carol has also built her experience in an inpatient setting, partial hospitalization setting, and while working mobile crisis. Carol is a licensed clinical social worker (LCSW) and Registered Play Therapist (RPT). Carol is specifically trained in Trauma-Focused Cognitive Behavioral Therapy (TF-CBT), Motivational Interviewing (MI), and Dialectical Behavioral Therapy (DBT). She provides services at Dickinson's St. Marys outpatient offices and within the local school districts as part of the HOPE program. Joleen has experience in long term care, working with aging and medical adjustment issues and the forensic population. Joleen is trained in Cognitive Behavioral Therapy (CBT), mental illness, and co-occurring disorders. She has been specifically trained in Dialectical Behavioral Therapy (DBT). She is obtained licensure as a Licensed Clinical Social Worker in 2018. Joleen is currently primarily working in Forensics and Outpatient in Elk and Cameron county with adults in the jail setting, treating co-occurring disorders, personality disorders, substance abuse, mood disorders, anxiety, adjustment disorders, and grief issues. Nils has experience in mental health, forensic, and dual diagnosis (mental health & addiction). He holds a Registered Nurse licenses in Pennsylvania and has now completed and passed the Family Nurse Practitioner (FNP) examination as sanctioned by the American Academy of Nurse Practitioners National Certification Board (AANPCP). He has been with Dickinson Center since August 2017 as a nurse. He splits his time between the Ridgway and St. Marys offices. Nils is currently providing services as permitted by the State of Pennsylvania Board of Nursing. Toni has been working in the mental health field as a registered nurse for over 25 years. She has been with Dickinson for many of those years in different capacities including outpatient, Psych Rehab, Forensic program and Total health program. In the past, she has worked in inpatient at the former Elk Regional, Dubois Regional and Ridgway Community Nurses. Emma holds a Social Work license in Pennsylvania. 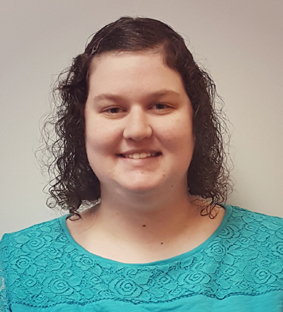 She has been with Dickinson Center, Inc. since 2017 as a Blended Case Manager and joined the outpatient program in 2018. Emma has experience working with individuals with mental illnesses. Emma works from the perspective of the person in the environment and strengths based. She also trained in Cognitive Behavioral Therapy and Trauma Art Narrative Therapy. Emma provides services to individuals of all age groups at the Ridgway outpatient offices and with students as part of the Mental Health Specialist program in the Ridgway School District. Darla has worked in various Nurse settings over the years, Generations, Pinecrest, Silvercreek, doctor’s offices, etc. She has been with Dickinson for 2 years. Amber has over 15 years of experience in the mental health field. She is a Licensed Clinical Social Worker in Pennsylvania. Amber has many years of experience in crisis services, as well as in outpatient counseling. She has provided services in outpatient, home, and community settings. She has been with Dickinson Center since 2015. Amber works with children, adolescents and adults. She has experience treating individuals who are having a difficult time adjusting to life changes, as well as treating those who suffer from more significant mental health problems. Amber, who is trained in Cognitive Behavioral Therapy (CBT), Cognitive Processing Therapy (CPT), and Dialectical Behavioral Therapy (DBT). She provides services to individuals with anxiety, depression, psychosis, a history of trauma, relationship problems, and personality disorders. Amber currently provides outpatient services in the Coudersport office. Whitney has over 9 years of experience in the mental health field. She is a member of the Leadership Team as the Potter County Operations Director. She is a Licensed Professional Counselor (LPC) in Pennsylvania. She has been with Dickinson Center since 2009 working in Psychiatric Rehabilitation and then as an outpatient therapist. Whitney works in the Coudersport office and holds office hours once a week. She is credentialed by most insurance providers. Whitney has skills and experience with children, adolescents, and adults with negative effects resulting from trauma, issues with self-injury, anxiety and depression, personality disorders, marital/relationship matters and family concerns. Whitney is trained in Cognitive Processing Therapy (CPT), Attachment Based Family Therapy (ABFT), and Progressive Counting (PC).